Randy Cohen; Bolivian-American recording artist Gian Carla Tisera, and more! 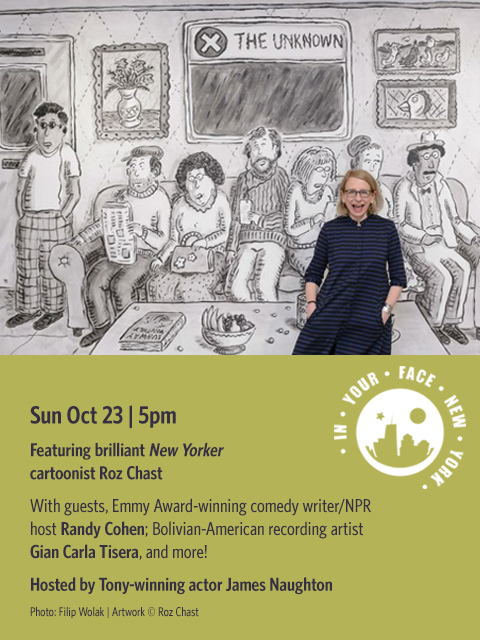 Design: Flyleaf Creative / Development: Medium Rare Interactive Cartoon © Roz Chast. Photo: Val Castronovo.